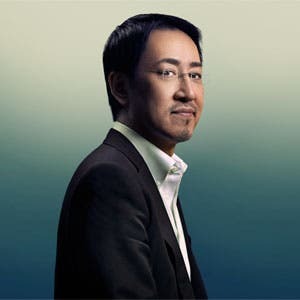 Yoshihiro Kawaoka has caused massive uproar in the scientific community when he announced he is attempting to recreate the world’s most lethal virus. Biologists are polarized on the issue, with some claiming that it is reckless, while others approving that it will help us better understand pandemics and how we can protect ourselves against them. Kawaoka is a veterinary researcher. He has been fascinated by virology ever since he was a child; wanting to know how animal systems behave and evolve, he majored in veterinary medicine and by now he has already gathered quite an impressive reputation. He’s 58 years old, but looking at him, you wouldn’t give him a day after 35. In 2006 he won the Robert Koch Award, which, in the world of microbiology, is akin to the Nobel Prize, and basically everybody in the field knows and respects his work. But upon hearing word about his latest research, one can only stop and think – has Kawaoka gone mad? 4 Why is he doing it? The virus sits in 2-milliliter vials inside a freezer kept at minus 80 degrees Celsius, preserved and immobile, like an insect in amber. It looks like some sort of torture instrument – a spherical object stabbed by dozens of sharp spikes, just like the virus Kawaoka is trying to replicate. The container is sealed inside the concrete walls of a lab, which is surrounded by another set of walls – walls made of 18 inches of concrete, every inch of it reinforced by steel rebar. A box within a box which ensures that the virus will never get out of the lab. Perfection and certainty are basic requirements when working at this level. Even researchers working on the project are required to pass FBI background checks, then remove all their street clothes, including undergarments and put on dedicated scrubs, a Tyvek jumpsuit, a hooded respirator outfitted with an air filter, and two pairs of disposable Tyvek gloves. After their work is done, they have to take them off in this exact order and then take a shower of at least 5 minutes. But why would researchers want to build lethal viruses, even in such an impenetrable fortress as this one? If you think Ebola is dangerous, you probably haven’t heard of the Spanish flu. In 1918, in just two years, it infected 500 million people – over one quarter of the global population; and keep in mind that people weren’t moving and traveling from one place to the other like they do today – the disease was just incredibly contagious. It killed somewhere between 50 and 100 million people. 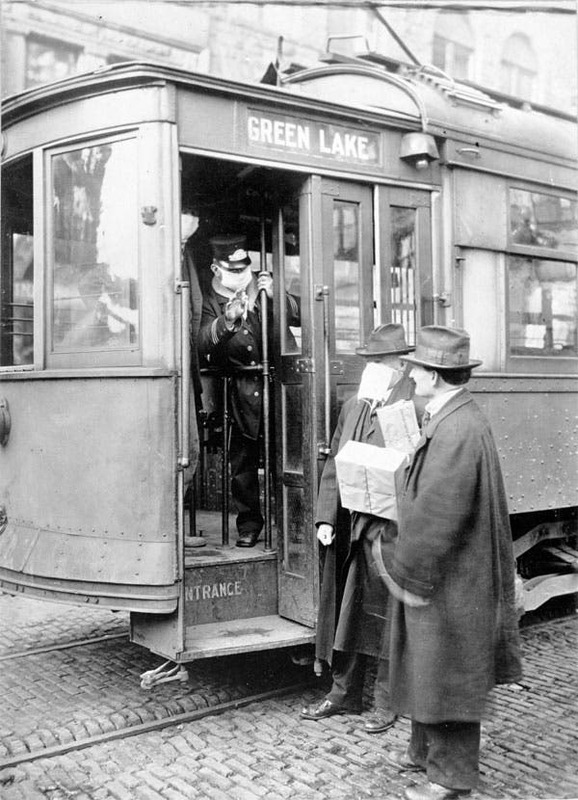 A street car conductor in Seattle in 1918 refuses to allow passengers aboard who are not wearing masks. Image via Wiki Commons. Unlike most influenzas, which affect older and younger people disproportionately, the Spanish flu hit harshest at young, healthy adults. Modern research, using virus taken from the bodies of frozen victims, has concluded that the virus kills through a cytokine storm (overreaction of the body’s immune system). Even today, we still don’t know where the disease came from and how it evolved. But it gets even better – we don’t even know why it stopped. The initial theory was that doctors simply became better at identifying and treating the disease – but while this may very well be possible, there is no evidence to support this theory. The other, more likely theory is that the virus evolved to become less lethal – naturally, if the host doesn’t survive, the virus is doomed too. So its interest is to become less lethal and preserve its hosts. But again, there is no clear evidence to support this theory. So here we have the most virulent pandemic in history, we don’t know where it came from, we don’t know how it evolved, and we don’t know how we got rid of it… now it’s starting to become clear why researchers would want to recreate the virus – to obtain more information about it. But even so, it can be argued that there is no logical end point to what Kawaoka does. The H5N1 virus as viewed through a microscope. The scientific community was quick to jump along the hate train – with many claiming that the work violets the Nuremberg Code‘s rules for research with biological agents. According to an article written in The Independent, the virus Kawaoka is recreating ‘poses a threat to human population if it should escape’. Gizmodo picked up on the article, writing that the ‘virus could wipe out all of humanity’. But Kawaoka didn’t back down. He routinely receives threats via email or Tweets – but he just forwards them to the FBI and shrugs it off. But it still gets to him. “It makes me sad,” Kawaoka says. Influenza cannot be stopped; it cannot be erradicated. The only thing we can try to do is limit the damage and prevent it from turning into a pandemic – and this is why he is doing this work. 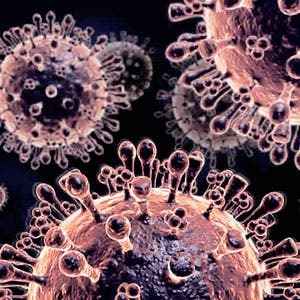 The influenza can easily mutate in nature (remember the avian flu and the swine flu? ), and that’s exactly what he’s doing in the lab – mutating viruses. He’s doing this to see under what conditions the mutation takes place, how it takes place, and what we can do to fight against it. It’s a classic case of keeping your enemies closer: if we know how a mutation works, then we can take the adequate measures. If we see what mutations are likely, we can produce vaccines and antiviral drugs in advance. In other words, we can prepare ourselves before the influenza strikes, and not just react to it. For this reason, he is studying the Spanish flu virus; for this reason, he is recreating the most dangerous virus known to mankind. To see what can be done to fight it. Hopefully, he will be successful, as the stakes are higher than ever.